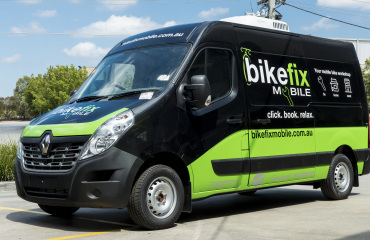 Bikefix facilitate an entire bike workshop within the confines of a mobile setting. 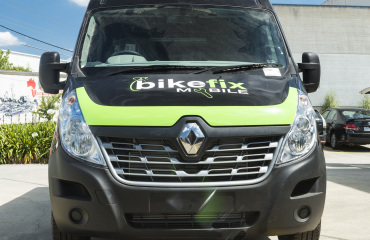 Bringing the workshop to the bike rather than the other way around, Bikefix wanted to use their idea as a way to not only repair bikes but to be a visible presence at the likes of races, events and expos. In addition, they’d sell accessories and parts and drive their brand forward. 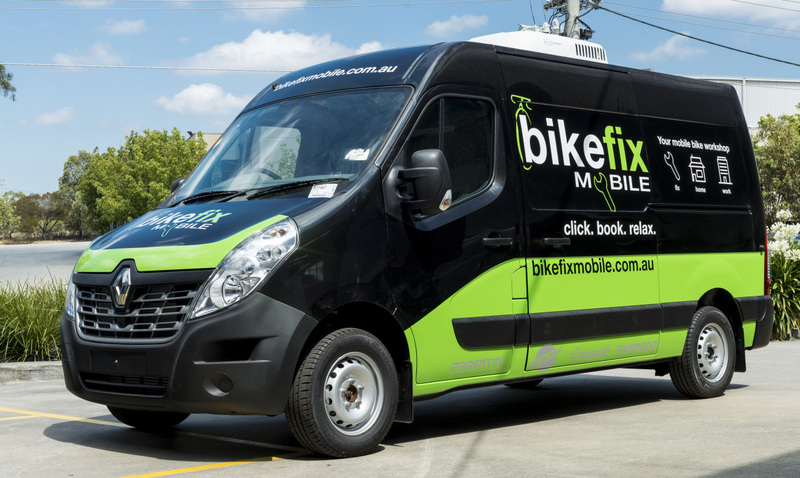 Bikefix asked VQuip to help realise this idea. 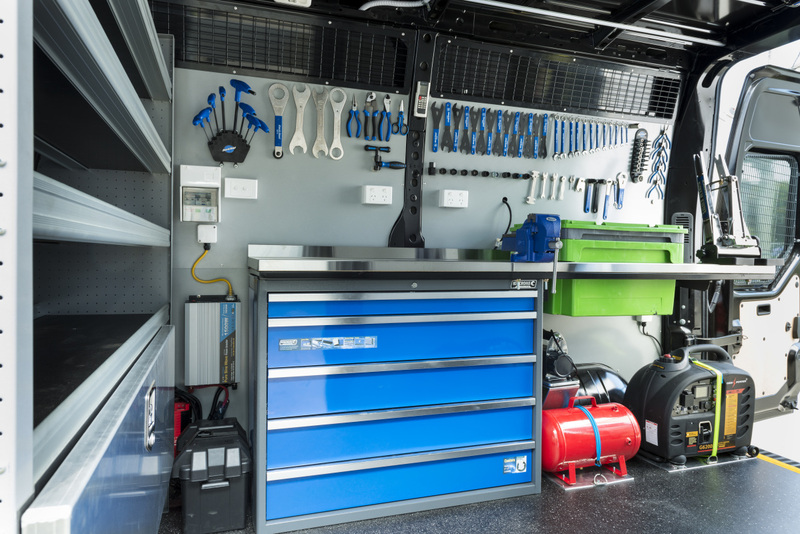 The Renault Master is a great base to build a project such as this, its wide stance and high roof gave us the ability to design a solution where both the workshop and display of accessories could be housed entirely within the vehicle itself. 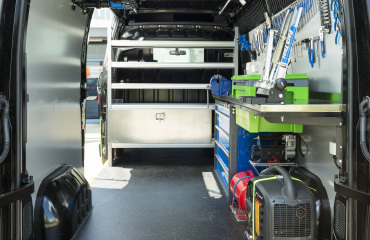 Careful utilisation of space and ergonomic considerations were paramount when the concept was developed, ensuring that the van remained “well stocked” but not cluttered or obtrusive to those who needed to work within it. The main feature of the Bikefix fitout is the workbench wall which consists of magnetically secured Park Tool bike mount, a 12V parts washer and a wheel truing jig. The area above this houses less frequently used accessories and the left side stores the accessories for sale. 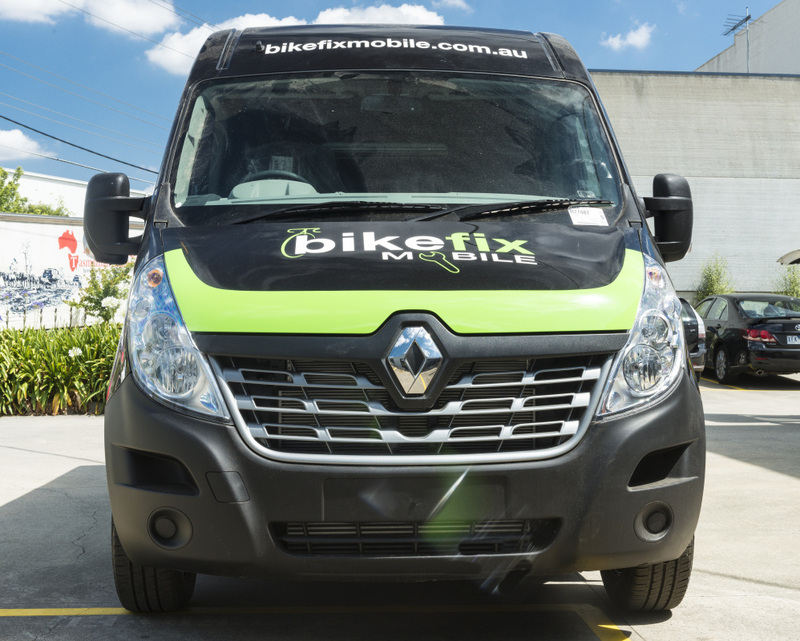 Bixefix have 40 years of experience in the bicycle industry and 18 years of Franchising experience. 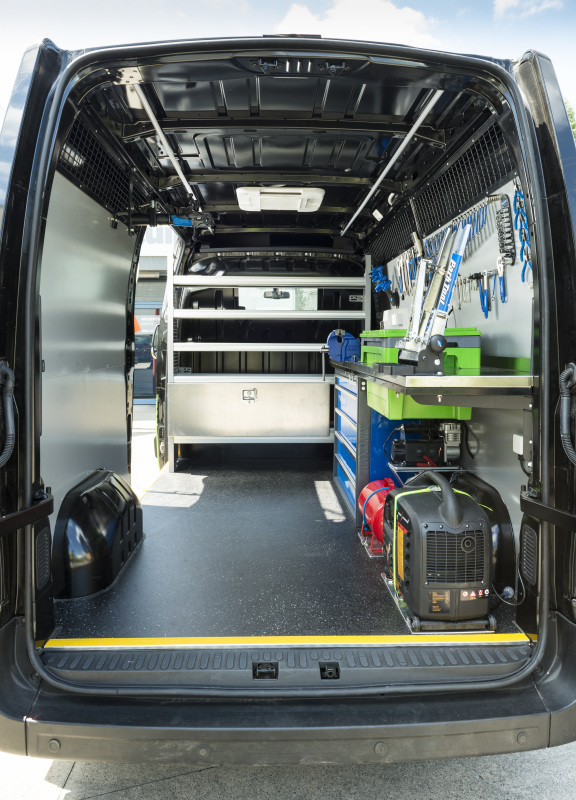 They are very proud of their new vans, and offer the opportunity to buy in to their expanding business.